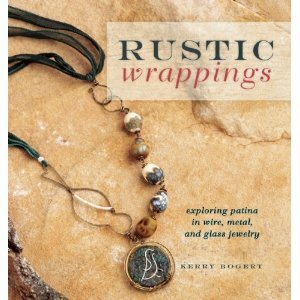 I really enjoyed reading through Kerry Bogert's new book Rustic Wrappings, which I shared about on Beading Arts (my review is here). I made a very simplified version of one of Kerry's pieces, actually leaving off the beads that she added (GASP!!) and just letting the patina be featured. It was a great opportunity to get out my basic Coiling Gizmo that I haven't used in, like, forever. 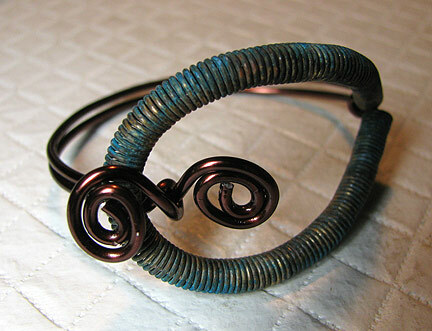 I actually started to do the 20 gauge wire wrappings by hand, but I realized that I wasn't going to get the smooth perfect coils that I wanted until my wrists were screaming in pain. The Gizmo is soooo easy to use. I just clamped it to the table and began cranking! 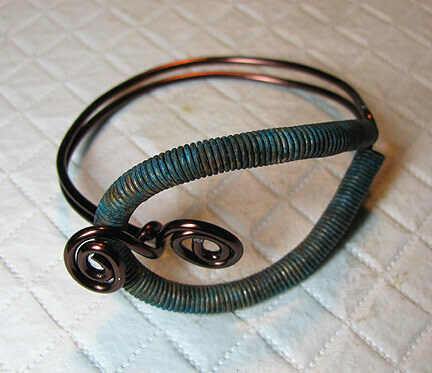 I used ammonia and salt to add the wonderful turquoise-ish blue patina to the wire. It took about four hours. That's netting that you see taped to the tupperware container, which suspends the piece in the fumes while you have it closed up. 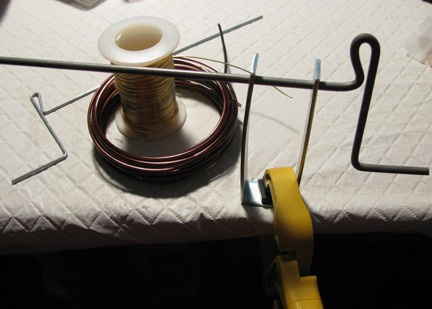 I used a very heavy 12 gauge wire (heavier than what Kerry uses, I think). The coiled wire slipped onto it perfectly though. You have some of the greatest tools and tips on the web. 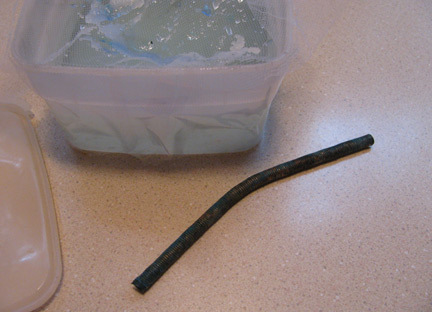 And how simple: inexpensive household items to give that gorgeous patina.